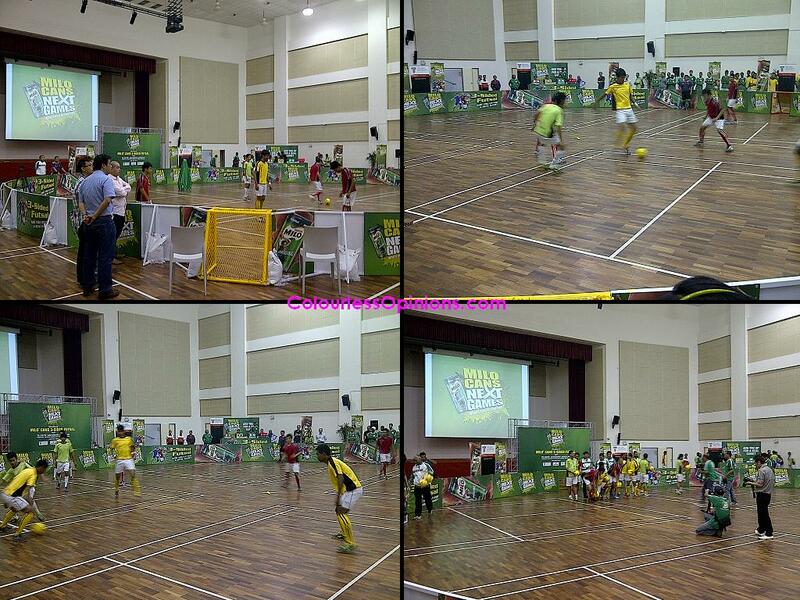 The Milo Cans Next Games Facebook campaign that was running the past few months had came to an end and they finally found the winning idea – 3-sided Futsal. The relatively long-running contest on the social networking site had thousands of participants sharing their innovative ideas on how they’d redefine and change the rules of existing sports to make it more fun and challenging. Out of so many entries, I was actually quite disappointed that they picked this one as the winner. It’s not at all as creatively violent and dreadfully compelling as the ideas I submitted! Okay, probably that’s why I didn’t win anything from the contest (and perhaps should never ever win). But later on I thought they made the right choice because futsal is definitely one of the very few generally played sports in Malaysia. 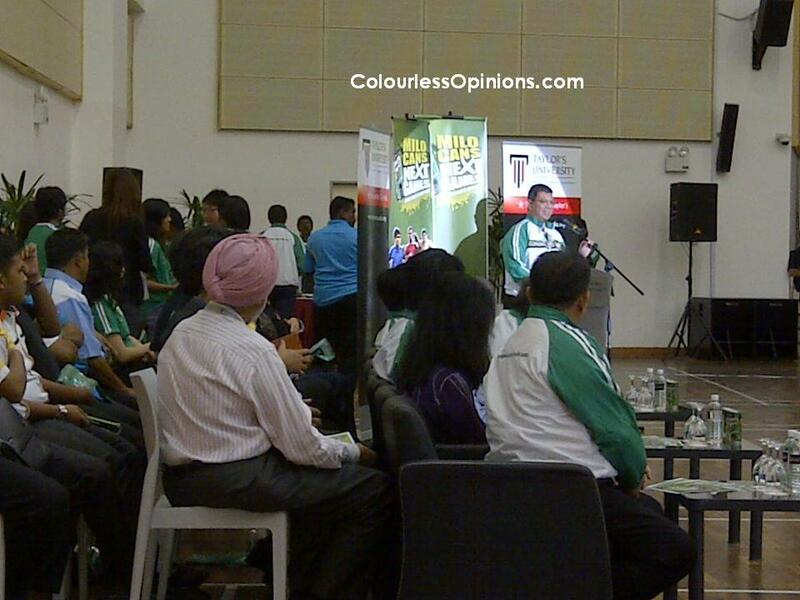 On Tuesday 6th of March 2012 at Taylor’s University Lakeside Campus Subang, Milo Cans made this 3-sided Futsal idea come true by announcing to the media that they are organising a tournament for the game. There was also a demonstration on a full match of the tournament would be like. 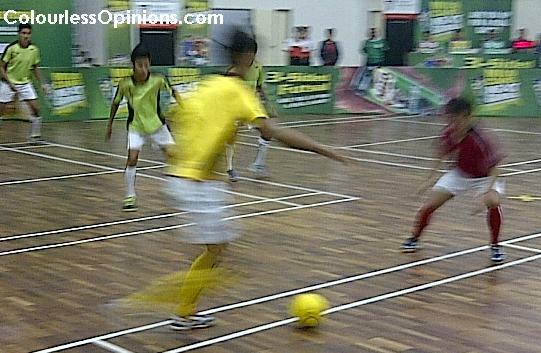 The game rules of this 3-sided futsal is actually much closer to the rules of street soccer than futsal. The ball can be bounced off the walls and will only be considered as out of play when the ball went completely out of the court. And like street soccer, no players are not allowed to step inside the D otherwise penalty kick would be awarded to one of their opponents. Goals must be scored from outside of the D. The unique rules are obvious – 3 teams playing at the same time against each other, 3 players a team on court, a mini goal post for each of the teams, no goalkeepers, and the court is circular. A match between the 3 teams are three 5 minute rounds with a minute of rest after each of the rounds. The teams can’t really “pakat” (team up) with each other because teams cannot score against the same team consecutively. April 2012. You may find out how to get the forms on the Facebook page of Milo Cans. The preliminary round of the tournament will kick off on the 5th of May 2012 at Sports Planet Futsal Complex Kota Damansara. Champion team of the whole tournament will win RM10,000 in cash, just like the winner of the Next Games Facebook campaign. Before all that, there will also be university and college road shows within Klang Valley from the mid of this month until the final third of coming month. Many VIPs were present at the launch event, one of them who gave a speech was YB Dato’ Saifuddin Abdullah, the Deputy Minister of Higher Education of Malaysia (see image below). If my ears did not fail me, I believe I heard him say, “If only politicians can learn from this game. 3 sides living under one roof…” I was like, what? And score against each other?